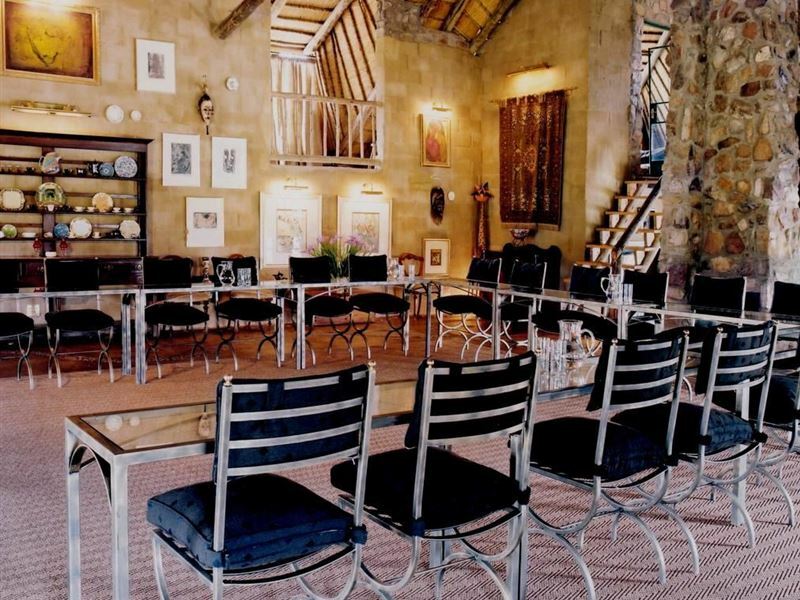 Lethabo has very different types of award-winning accommodation. We have a mobile Spa available which means, depending on the suite or room you choose, treatments can be enjoyed privately there or next to the river. We also offer riverside and evening picnics, Fire Dancing shows, private or for groups and lessons for fun. We offer Horse Whispering Join Up and Game drives at the nearby Lion and Rhino Park. 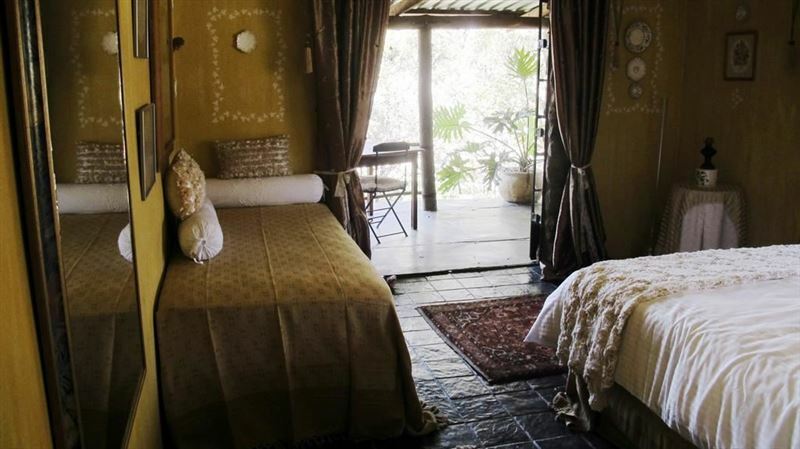 Our guesthouse has five double en-suite rooms, each with its own private balcony with the views of the surrounding Nature Reserve. Our Willow Tree Lodge is a lover’s haven, a thatched "A" frame structure on stilts, with a sunken Jacuzzi spa bath, loads of candles, and a double hammock on the water’s edge. 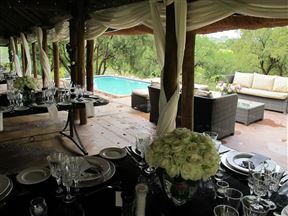 Our meals are a masterfully prepared delight and are our romantic picnics are sublime. 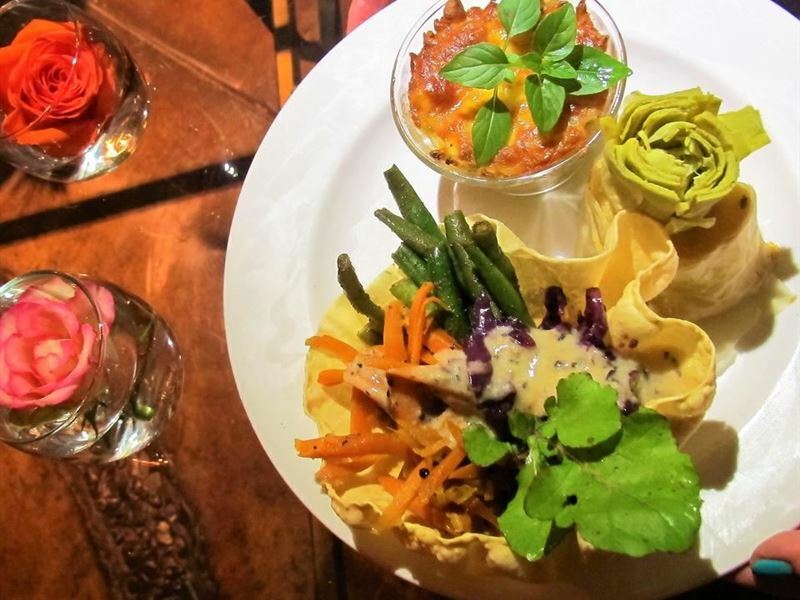 While dining in our gourmet restaurant, overlooking our dam, and the wrap around views of the nature reserve, we will indulge you with our uniquely South African cuisine. 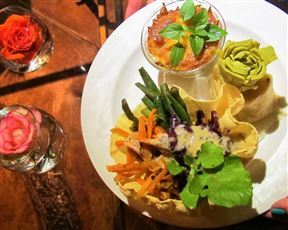 Choose from our seasonal menu which includes Amarula Honey Mustard Chicken, served in a crispy poppadom, a specially aged Beef Fillet rolled in cracked black pepper and served with a pearl onion and black cherry sauce, Wild Chilean Salmon lightly seared with creamy gorgonzola, Baby Karoo Racks of lamb marinated in a Hanepoot, chutney sauce and served with a mushroom and peppadew reduction, all accompanied by a medley of traditionally slow roasted Mediterranean organic vegetables. 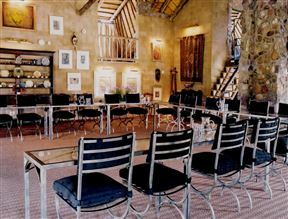 We are close to many attractions and are super springboard for all sorts of Cradle adventures. The stone & thatch River Cottage is a private gem on a beautiful stretch of the Crocodile River. 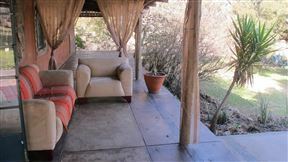 It has DSTV Aircon.2 x Portable firepod fireplace, four-poster bed overlooking rive, Jacuzzi spa bath. Private river bank with plunge pool & a double hammock. Spacious & charming stone cottage in a private garden with 3 en-suite rooms: the Stable Room, the Cathedral Room with huge glass wall feature, DStv lounge & fireplace & the Rhenosterkop Room with freestanding Jacuzzi spa bath, King size bed & fireplace. 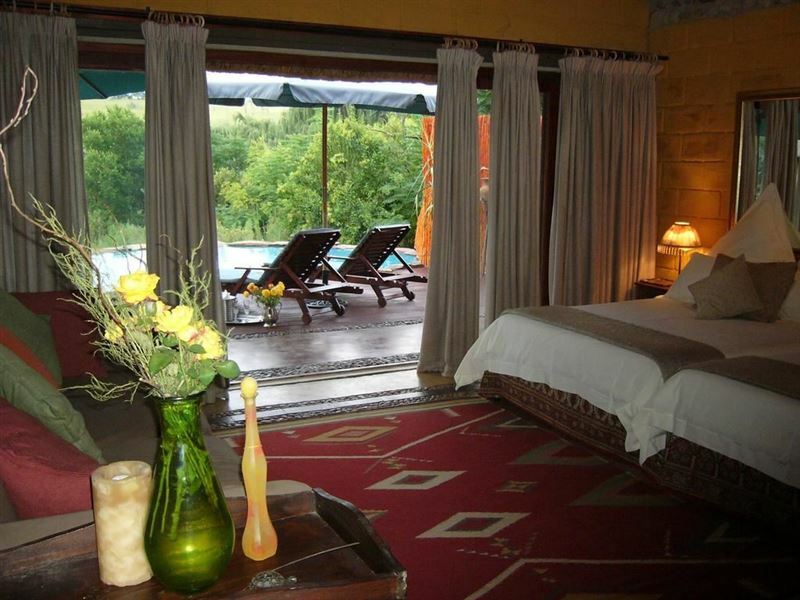 Kingfisher Suite is a beautiful gem, the ultimate romantic paradise, a private 'green' suite with surround sound & TV for movies, a Jacuzzi spa bath, candles & incense. 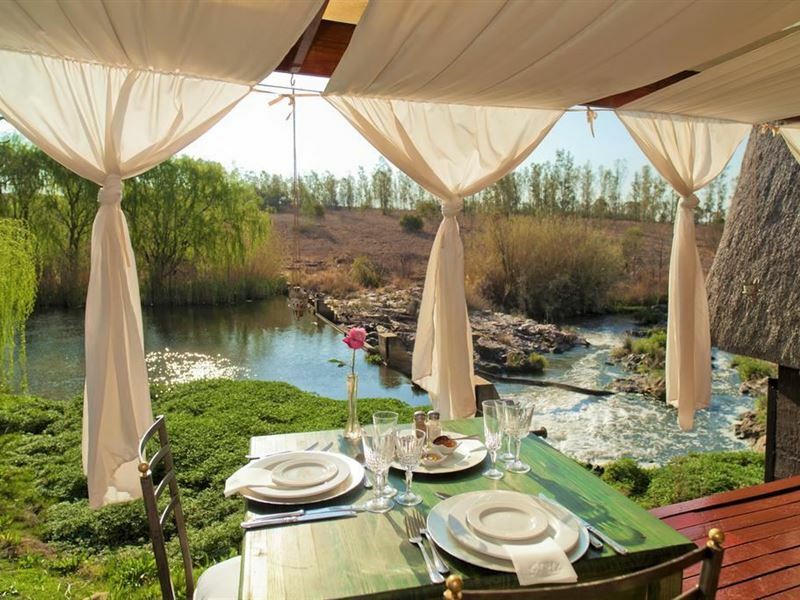 It has a breathtaking view over the river & its own private picnic spot with hammock. 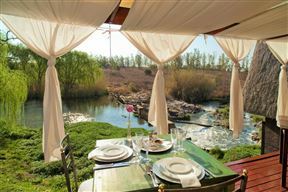 Gourgeous gem on the river with outdoor dining area, and patio. It has a King size bed, It has DSTV Aircon jacuzzi spa bath overlooking the river and indoor/ outdoor bush shower. 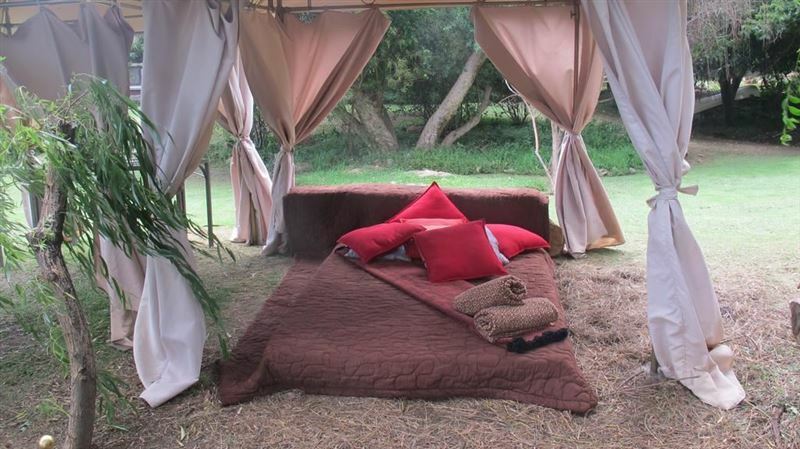 Firepalce and Riverside picnic flop spot with double bed and Mosquito net. 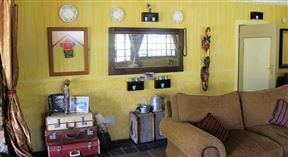 Farmhouse Rooms have a double bed & a single bed "flop spot'' and is en-suite with shower and its own private patio with reserve views. We had the most wonderful weekend. Relaxed and spoilt rotten by Lisa and company. The willow tree was amazing and the picnic was superb. Thank you all for a super weekend. Our honeymoon in the romantic River Tree Cottage was spectacular, owing particularly to the fantastic setting of the cottage and the superb yet discreet service by Lise, Paul, their talented chef and courteous staff. We&apos;re just sorry that we didn&apos;t spend enough time there and the stay was so brief. We definitely intend coming back for a longer stay and then we&apos;ll make a point of spending much more time enjoying the tranquility of the beautiful surroundings. Bravo, Lise and Paul. super - We&apos;ll be back. Super , we will come back. My partner and I were very much relaxed by peace and quietness of Lethabo. Our only regret is that we did not stay longer. Exceptional service from James, Lissa and company! My new wife and I really enjoyed our stay at Lethabo. James was an excellent host and ensured that we were well looked after. Thanks to for the amazing food! 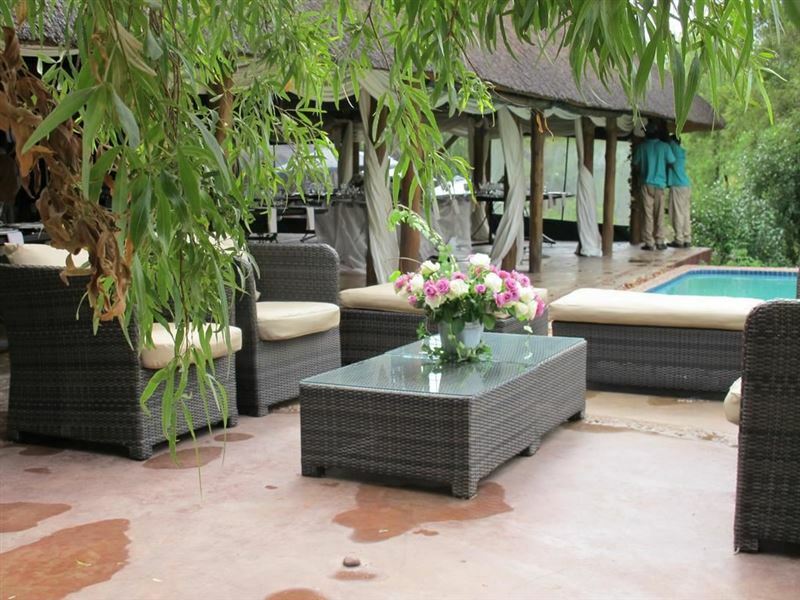 The willow tree was absolutely fantastic, what a romantic, tranquil and friendly venue. Will definitely refer this to friends. Everything was fantastic from start to finish, we had a fantastic stay and we were sorry it was so short. Absoltuely amazing to know that we could go away to a resort so close to home and yet still accomplish the feeling of a holiday far from the hustle and bustle of city life. The stay at Lethabo was amazing. Everything was just stunning. I will tell people about Lethabo. It&apos;s on your doorstep and still it feels as if you are far away in Paradise. Thank you for a wonderful stay!!! !